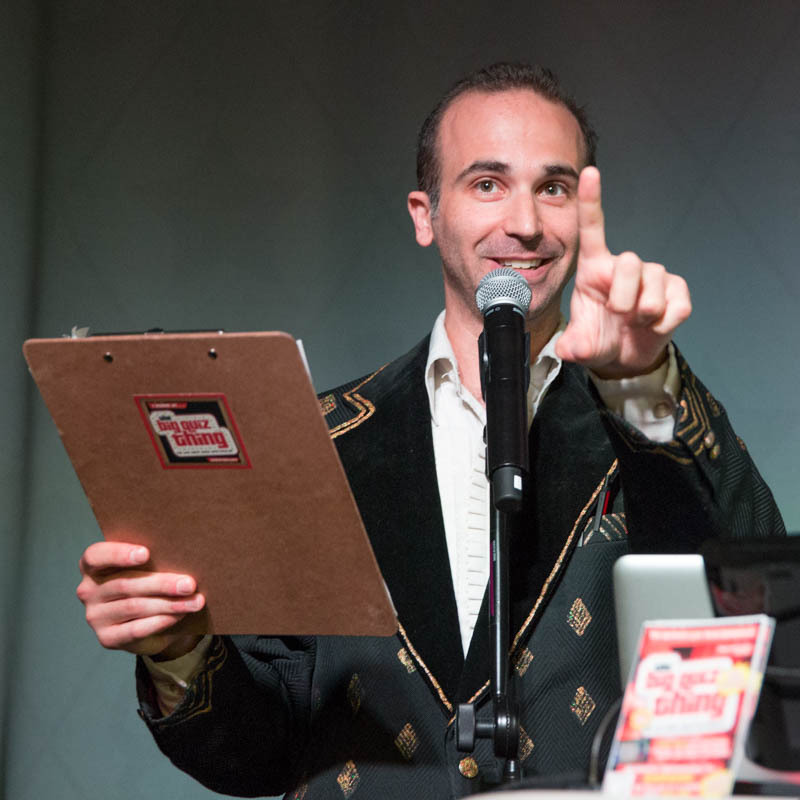 This evening, friends: The BQT returns to the East Village's palatial SubCulture, for another night of NYC's only deluxe trivia game show that you get to play (and win). A panoply of multimedia quiz excitement—featuring "Movies of the World Unite," "Recently Resting in Peace," "You Really Call That Sport?," and much more—with the best trivia prizes anywhere: the $200 cash jackpot (split among four teams), tickets to The Brooklyn Botanic Garden, 50 Shades! The Musical, Pogo Events, SubCulture itself, The New York City Fire Museum, and Drunk Shakespeare, books, DVDs, you name it. Hosted by the city's No. 1 quizmaster, if I do say so myself. Theodor Geisel, as his mama called him (or perhaps in this case, "Theodor Freakin' Geisel"). Ah, but what about him? Don't you wish you knew? You will know, tonight, 7:30pm at SubCulture. Don't dawdle, friends.